Sarasota County Sheriff Tom Knight today announced the Sarasota County Sheriff’s Office 2018 Annual Report is available online. The publication provides an overview of important local issues including crime statistics, the budget, traffic, and more. The document also reviews the agency’s Administrative, Law Enforcement and Courts and Corrections divisions, their varied responsibilities, and how each serves the citizens of Sarasota County. The report summarizes key activities during Sheriff Knight’s tenth year in office, including red tide clean-up efforts and the utilization of DNA technology to solve a nearly 20-year-old homicide. 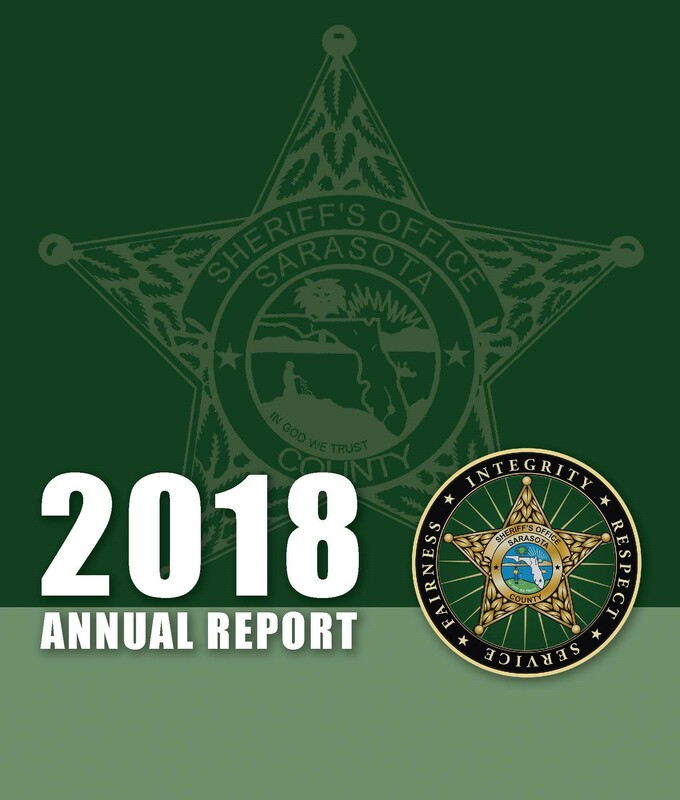 To view or download a copy of the 2018 Annual Report visit www.SarasotaSheriff.org and under the “News & Publications” tab, click “Notices & Publications.” Printed copies will be available in coming weeks at the agency’s headquarters located at 6010 Cattleridge Blvd., in Sarasota.